When was the last time you used a lemon in your kitchen? How about on your face or in your carpets? As it turns out, there is more to this brilliant yellow fruit than a refreshing summer drink. There are so many wonderful lemon essential oil uses! As one of the most widely-used fruits in the world, the oil of this citrus superstar offers a wealth of benefits for health, beauty and home. Here’s a breakdown of all the ways lemon can enhance your overall well-being and help put a smile on your face. Lemon is a champion when it comes to high vitamin content, making it an excellent help when helping your body during times of stress. Using lemon essential oil in a diffuser or humidifier may help, and is used in many hospitals and clinics. Applying lemon essential oil topically to corns and calluses may help support healthy inflammation and soothe rough skin. The best way to see long-term results is applying the oil twice a day using a carrier oil, such as coconut or almond oil, once in the morning and again before you go to bed. 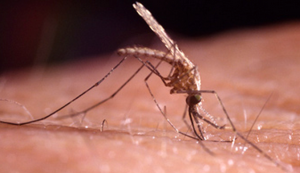 If the mosquitos got to you and it’s all you can do to keep your fingernails from attacking those angry bumps, don’t reach for a chemical solution. A lemon essential oil and carrier oil mix rubbed onto the bites will reduce itchiness and inflammation. Next time you head to the woods for the weekend, make sure you add this essential oil to your list of must-haves. Not only does lemon smell delicious, but inhaling lemon may actually help support respiratory health. The pungent aroma helps to support sinuses and nasal passages, offering relief to those who struggle. In an age of acid peels and chemical dermabrasion, it’s no surprise that lemon is being rediscovered as a safe, natural alternative to restore a healthy glow to even the dullest skin. 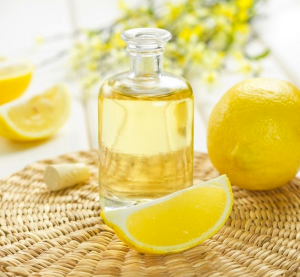 Lemon essential oil used topically does triple-duty, serving as an antioxidant, astringent and detoxifier. And if you’ve been fighting some nasty outbreaks, a little bit of lemon can help to reduce oiliness and combat acne. Using lemon as a hair treatment is a natural way to brighten tresses and make them shine. Direct application can reduce or eliminate dandruff and a dry, itchy scalp. And if you’re looking for a safe way to enhance your summer highlights, lemon essential oil can also be used to enhance those shiny, golden tones. When we’re feeling stressed out it’s hard to look our best. You can help counter the draining effects of stress by adding a few drops of lemon essential oil to a nice, relaxing bath, or using it in a diffuser in your home. The bright scent is uplifting, helps improve mood and can even improve mental acuity and concentration. If you’ve been struggling to sleep and are starting to see those hated circles under your eyes, it might be time to look to lemon for a good night’s sleep. Usually associated with stimulation, lemon is surprisingly effective at helping reduce sleeplessness and encouraging rest.